Every spring, keen-eyed biologists carrying fishing poles search the rolling hills near Los Banos, about two hours southeast of San Francisco. But they’re not looking for fish. 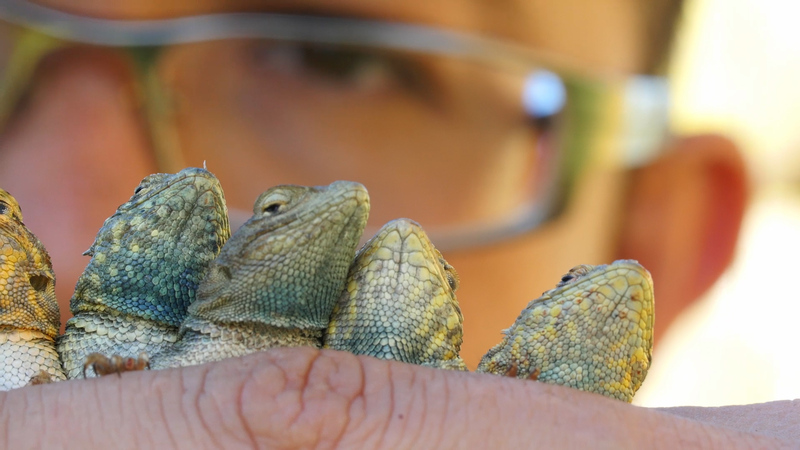 The dramas that play out between the lizards of these three colors offer the researchers a window into how how species evolve and diversify. The males of each color are able to outcompete one of the others' colors for mates but is susceptible to the other color. It reminded the researchers of the rock-paper-scissors game where rock beats scissors, scissors beats paper and paper beats rock. The lizards look like tiny dinosaurs, but are actually more closely related to iguanas. At about two inches long, they may not appear ferocious, but that won’t stop them from issuing threat displays — which looks like a series of pushups — to lizard and human intruders alike. 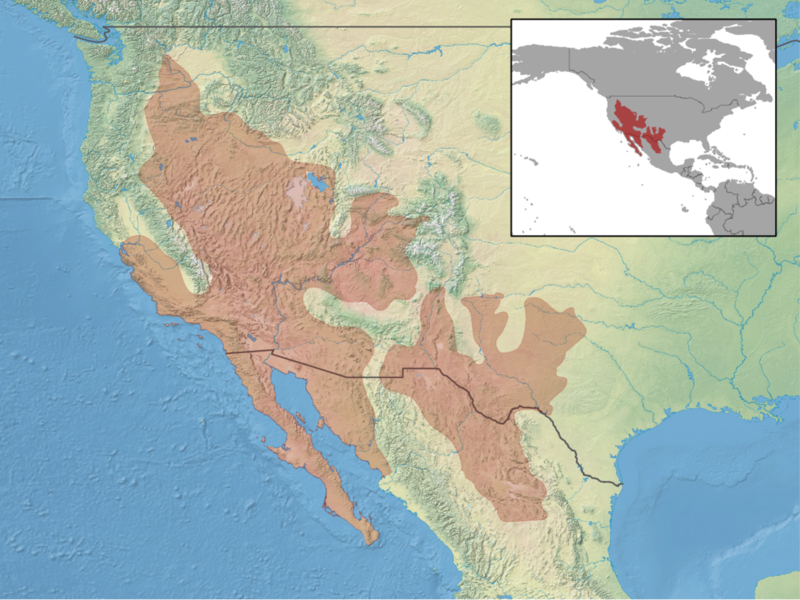 It’s one of the territorial behaviors that first caught the eye of Barry Sinervo, a professor of ecology and evolutionary biology at UC Santa Cruz. Sinervo leads the team as they unlock an incredibly intricate and ancient game of strategy that steers the love lives of these colorful creatures. It’s all about territories. Orange males tend to be the biggest and most aggressive. 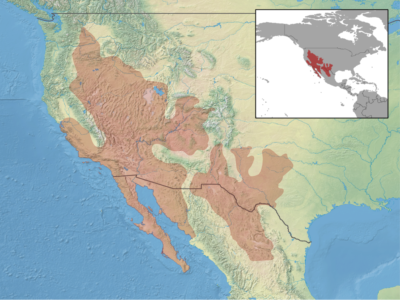 They hold large territories with several females each and are able to oust the somewhat smaller and less aggressive blues. Blue males typically hold smaller territories and are more monogamous, each focusing his interest on a single female. Yellow males tend not to even form exclusive territories. Instead they use stealth to find unaccompanied females with whom to mate. The yellow males are particularly successful with females that live in territories held by their more aggressive orange competitors. Because the orange males spread their attention among several females, they aren't able to guard each individual female against intruding yellow males. But the more monogamous blues males are more vigilant and chase sneaky yellow males away. Their different strategies keep each other in check making the system stable. Sinervo believes this game has likely been in play for at least 15 million years. But the males are only partially responsible for that long run. 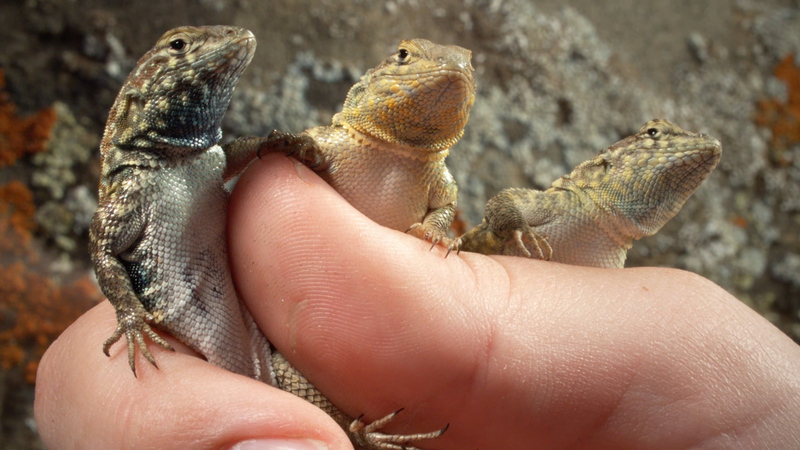 Female side-blotched lizards have their own strategies when it comes to choosing a mate. They tend to prefer males of their own color, but also give preference to whichever color of male is less abundant that season. So if there are fewer blues this season, the females give preference to the blue males. That keeps any one color from being outcompeted by one of the others. The whole system is incredibly complicated to study. According to Sinervo, “the males have three strategies and females have two strategies when it comes to selecting a mate." Even after the mating is done, the pregnant females have a whole extra level of strategy when it comes to the number of eggs to lay and the size of the eggs. By adjusting the level of hormones in the eggs, females can even adjust the the color and aggressiveness of their offspring. Samples taken by the field team this summer are part of a next step in the study to determine the genetics behind this complex behavior.